Marie Kondo has become synonymous with decluttering. The Japanese author-slash-professional organiser developed a cult-like following since she first published the 2014 bestseller The Life-Changing Magic of Tidying Up. The book has nurtured a widespread influence and inspired people to embrace the minimalism manifesto, which enabled her to be listed on Time’s 100 Most Influential People in 2015. According to Kondo, consumerism has led people to buy more things, causing them to possess more physical items than before. 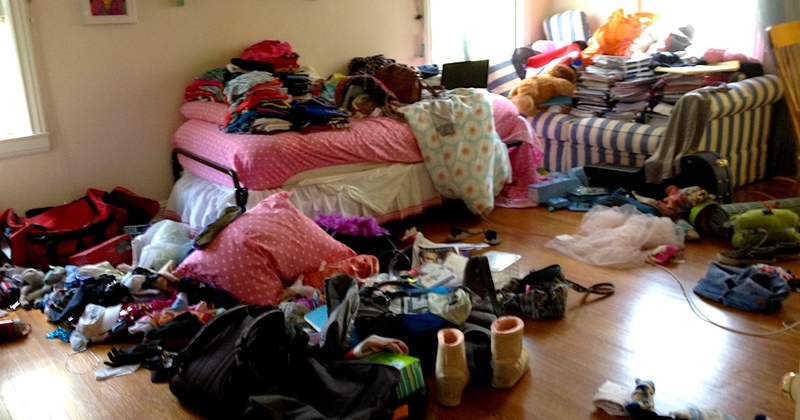 She also believes that a physically cluttered space indicates a cluttered mind, and maybe even time management issues. She advocates the art of decluttering, which removes the unnecessary, to help lead a simpler life. “The question of what you want to own is actually the question of how you want to live your life,” she wrote in Tidying Up. 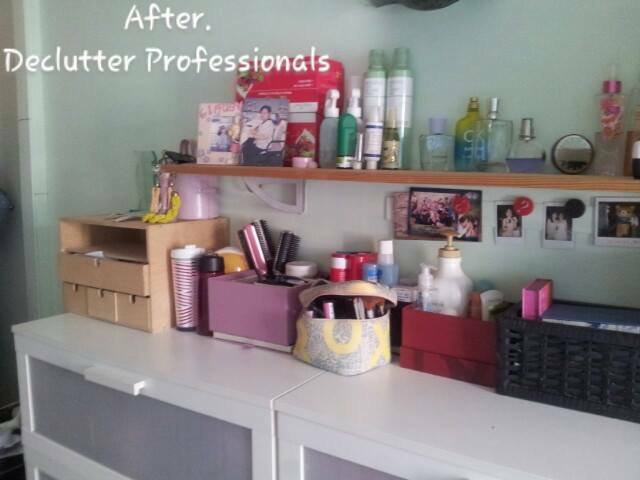 Sharing the same philosophy, Kris Tan started up The Declutter Professionals in 2012. I had a huge interest in cleaning and was a fan of the American reality show ‘Clean House’. 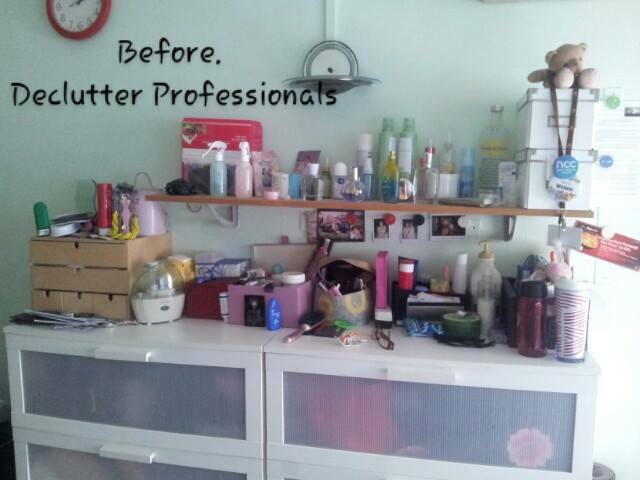 I started to realise hoarding is an issue in Singapore, so I wanted to use my skills in decluttering to help people. 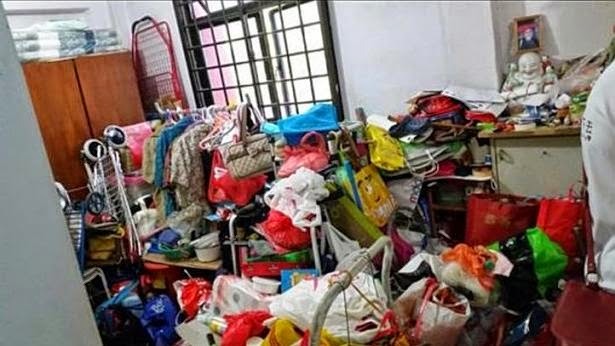 As a matter of fact, a 2016 survey of 520 Singaporeans revealed that more than 70 per cent found their homes cluttered with items that they no longer use. Conducted by Nanyang Technology University’s (In)visible campaign, the survey also revealed that the number one culprit of clutter is sentimental value. Kris believes that being organised is about living a less stressful life. According to an article by The Business Times, a cluttered or disorganised space affects productivity as we end up taking up more time to find things, making it difficult to concentrate on tasks at hand. The 34-year-old financial consultant started up this business venture on the sideline six years ago. Starting out was hard – Kris had “zero enquiries”, so she had to actively seek out potential customers. Nobody really understood what the service is about, so she had to take the time to explain it in detail to them. While business was poor, she didn’t exactly make a significant financial loss as she pumped in very “little capital”. As the job is labour intensive, my charges are based on an hourly basis. The rates will depend on the scale of the project, and typically starts from $50 per hour for a minimum of 3 hours. In any case, Kris was confident that business would take on a positive turn over time. True enough, Singaporeans started to “embrace organising as a professional service’, helping the business gain awareness. Now, she receives an average of about 5 enquiries a month; and have freelancers who help her take on the assistant role when the need arises. Kris usually starts things off with an on-site or email assessment (clients send a photograph of the problem area), so she can gauge the extent of the job scope and assess the number of hours and sessions required. Thereafter, a date is set for the declutter session, where Kris advises clients on whether they should toss, donate, or keep the items. This is typically the most tiring part of the whole process, as some clients are just not ready to part with things they are emotionally attached to. She recounted cleaning up the clutter in her client’s living room, where she found six refill packets of fabric softener. Sections of the living area had turned into storage over the years; and it took Kris three hours to sift through the items, throwing away or donating things that had been unused in recent years, and reorganising the rest. The key idea is to designate a place for everything. The mountain of clothes on one side of the sofa, for instance, was placed in her room’s wardrobe, while a stack of old study notes next to the shoe rack was put into a box. The whole session costed $110. Some might think it’s a waste of money, but engaging such services can be useful, especially during busy periods such as Chinese New Year and weddings. 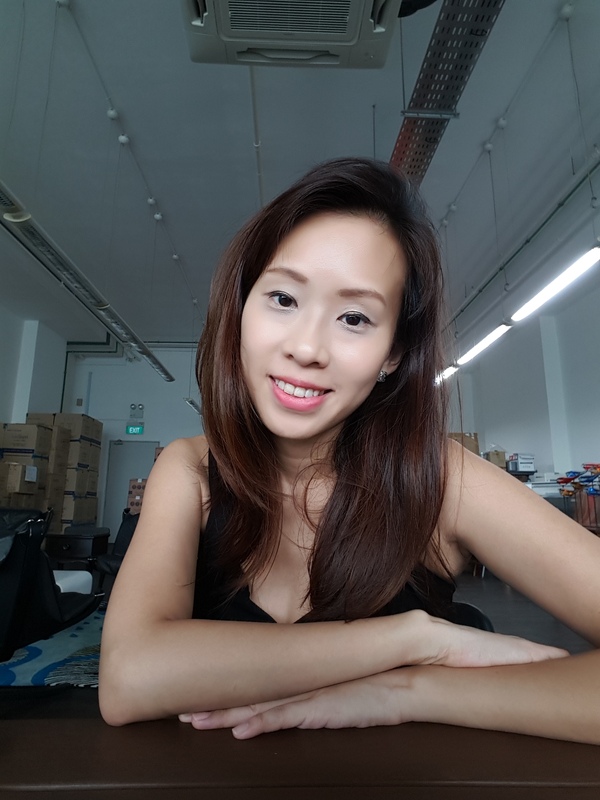 Sharing about future business plans, Kris said she have always wanted to hold organising classes for domestic helpers who are new to the job. Summing things up, Kris emphasised that it’s important to upkeep the clutter-free state daily. Professional organisers work the same way as personal fitness trainers – they can help people get the ball rolling, but it’s ultimately down to the individual to upkeep it. The secret to keeping things tidy is not taking it out, but the act of putting it back. Ultimately, being organised is something you can learn – it’s not much of a talent someone is born with. That said, for those who are now inspired to declutter in time for Chinese New Year: get cracking, you ‘Kondo’ it!